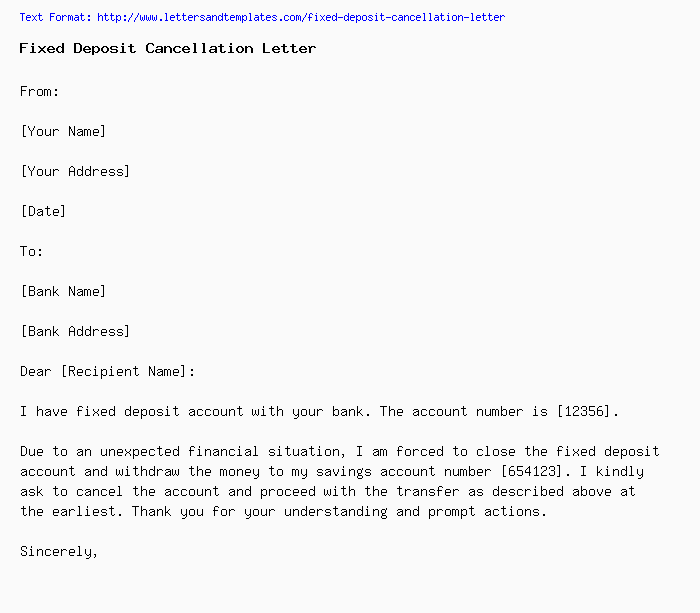 I have fixed deposit account with your bank. The account number is . Due to an unexpected financial situation, I am forced to close the fixed deposit account and withdraw the money to my savings account number . I kindly ask to cancel the account and proceed with the transfer as described above at the earliest. Thank you for your understanding and prompt actions.